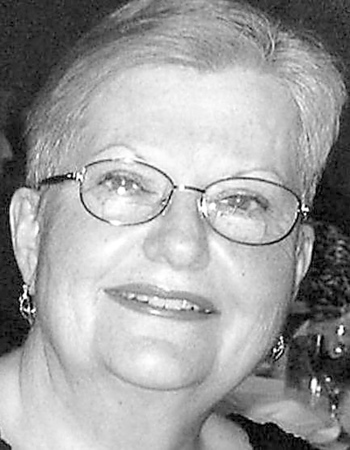 Norma E. (Johnson) Miller, 73, of Plainville, widow of David W. Miller, passed away Wednesday, July 4, 2018, unexpectedly at her home. Born in New Britain, daughter of the late Elmer and Rachel (Bigge) Johnson, she was a former New Britain, Berlin, and Southington resident, before moving to Plainville. Norma is a graduate of Fisher Junior College in Boston and was a unit secretary at the Hospital of Central Connecticut for over 35 years, retiring in 2011 from the ambulatory surgery department. Surviving are her five daughters, Deborah Foster and her significant other, James Pelletier, Susan Miller and her significant other, Caleb Irizarry, Karen, Jennifer and Tracy Miller; four grandchildren, Timothy Little and his wife, Kristin, Victoria Gagnon, Kaylee and Brianna Gridley, their father, Bruce Gridley, a step-granddaughter Serenity Hathaway, a brother-in-law, Barry Miller and his wife, Carol, a niece, Christy Miller and a nephew, AJ Miller. Her love of animals was evident to all and she also leaves her beloved fur grand dogs, Shelby, Duncan, Allie, Boomer, Lance and Herbie, a host of grand kitties, rabbits, and horses. Posted in New Britain Herald, on Friday, 6 July 2018 19:48. Updated: Friday, 6 July 2018 19:51.